PORTLAND, Ore. – Oh what a night! 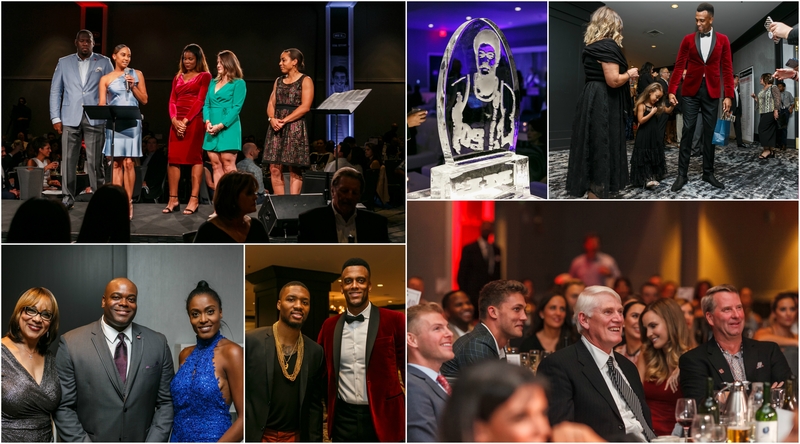 The Maurice Lucas Foundation’s eighth annual Celebration Dinner & Auction on Friday, Sept. 21, at the Portland Hilton attracted 650 supporters and raised more than $731,000. The funds will support the academic and athletic programs the foundation provides underserved youths at Harriet Tubman Middle School and six high schools in Portland. Executive Director David Lucas and former NBA players Bill Walton and Lionel Hollins presented the foundation’s annual Maurice Lucas Enforcer Award to former Trail Blazer player and current foundation board member Bobby Gross. The award is given annually to an individual who best embodies many of the characteristics that its namesake displayed both on and off the basketball court, including motivating and empowering kids. Walton and Hollins, who played with Gross on the Blazers’ 1977 championship team, are among the award’s past recipients. At the gala, Shauncey Mashia and other representatives of Nike’s Jordan brand announced their company has chosen the foundation as the 25th nonprofit Jordan Wings partner. The company will provide full ride, four-year, post-high school scholarships and Jordan brand products to eligible youths in the foundation’s academy program. The glittering array of sports stars and local dignitaries there included former Boston Celtic center Bill Russell; his wife, Jeannine; and local philanthropists Mike Richardson and Howard Hedinger. Lucas thanked them all for attending the dinner. A number of other current and former Trail Blazer players, coaches and announcers also attended, including Terry Stotts, Damian Lillard, Evan Turner, Meyers Leonard, Brian Grant, Lamar Hurd, Brooke Olzendam, Michael Holton, Bill Schonely, Lloyd Neal, Lionel Hollins, Larry Steele. 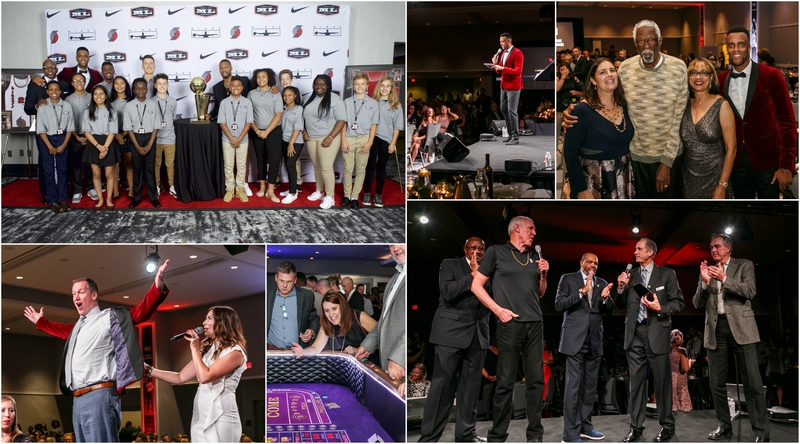 Nike, Jordan Brand, Portland Trail Blazers, Fred Meyer Jewelers, Mercedes-Benz of Beaverton and Mercedes-Benz of Portland were among the approximate 40 corporate sponsors of the event. The celebration highlighted seven students who personify the foundation’s Seven Pillars: Integrity, Respect, Personal Responsibility, Leadership, Positivity, Goal Setting and Hard Work. Student introductions were NBA-esque as announced by Calabro and met with a rousing response from the attendees. The festivities included a silent auction of sports memorabilia and one-of-a-kind customized gear, as well as a live auction. Afterwards, attendees danced into the morning hours at Ciroc the Night After Party featuring official Blazer DJ O.G. One.